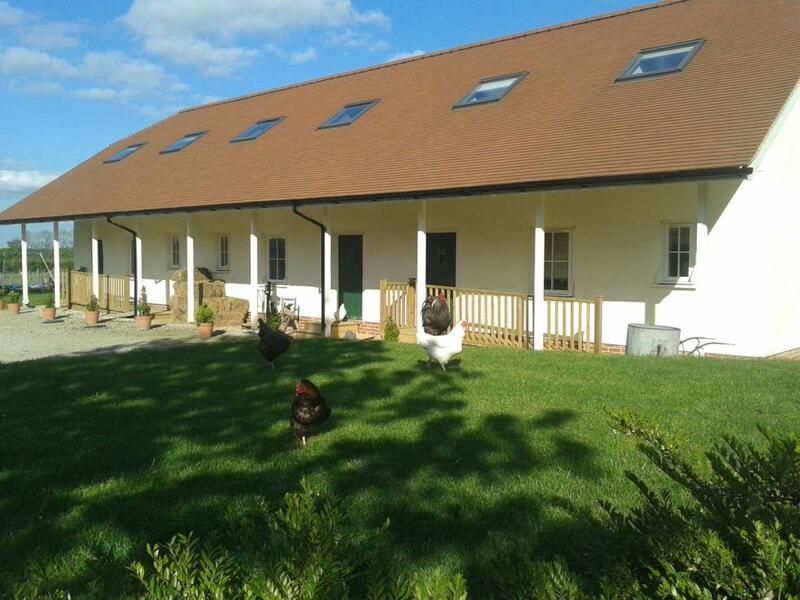 Welcome to our small farm – high on the Kent Downs just 7 miles from the Canterbury. Its a perfect base to explore the many local attractions. Our small farm is used for sheep farming and hay making. We keep donkeys, alpacas, a few sheep, some lovely pigs, ducks and chickens for our guests to meet and provide a few very tasty free range eggs. Visit our Facebook pages to find out more about our animals. On the edge of the farmyard, each cottage has its own patio and lawned garden area. Clay and Straw cottages are end of terrace cottages built from Straw Bales each sleeping 6. Dilly and Gilt cottages are traditional detached brick bungalows which sleep 4. All the cottages have room for cots. We pride ourselves on providing a warm welcome, and bake fresh cakes for your arrival. Visiting children (and adults!) are always welcome to help us feed the animals. There is a play area in the farmyard and plenty of space to explore across the fields and in the woods. As well as the city of Canterbury there are a large number of local attractions for visitors of all ages.